Challenge! ATtiny85 programming- Cash prizes! You know you'd do it for fun, anyway! I will set out a challenge to the ATtiny85 community. If you can create the application I'm hoping for, you're in line for cash! Worried this is a scam? Wise! It could be. But read the following carefully, and you'll see that all you have to lose is a little time, time spent doing something some people would find fun. Stop press! It can be done! But the competitions ARE still running! Hurrah! A very kind person, Edgar Bonet, took on the challenge... for the fun of it! 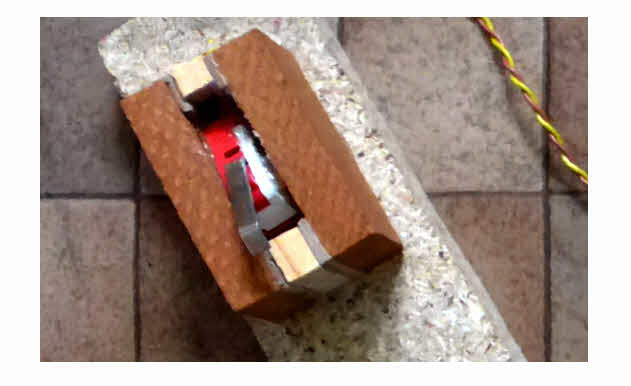 He wanted to do a few things differently than as required to enter the competition, but went ahead anyway, and is sharing, for free, his solution. That is becoming available as a kit of parts. On the left: His circuit. It comes from Edgar Bonet's Github page. A PCB for this circuit has been made up as PCB271, for which separate pages have been created. How to obtain one, assemble it, explained there. Not expensive... less than $20 incl p&p for the PCB and programmed ATtiny. The rest is just annoying bits and pieces. This started as a competition for ATtiny people. 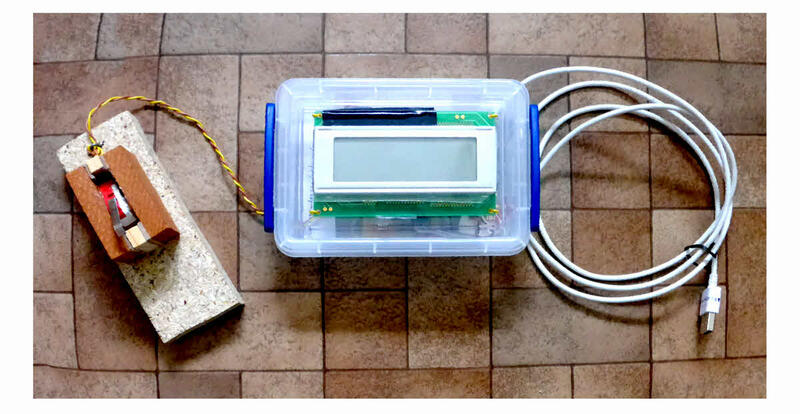 A competition for Arduino people has been added. The terms are the same as for the ATtiny competition, apart from if you use an Arduino you are inline for a smaller cash prize. The $40/ $60/ $20 ATtiny numbers become $20/ $30/ $10. Also, in the Arduino "class", you don't have to send any hardware, just a clear description of how to set any Arduino up to test your code. (Quality of user documentation will play a big role in who wins the Arduino class. There should be two separate documents for users: One that's just about how to use one that's been set up. (This would probably be quite short... it doesn't have to be a course in how to send Morse code!) And a separate document to say what to connect to the Arduino to provide what is needed. And the interval between first finished entry being announced, and the deadline for submitting further entries would be extended to two months. For the Arduino version, the winning entry would have to be able to recognize all of the codes in the table given at Wikipedia. 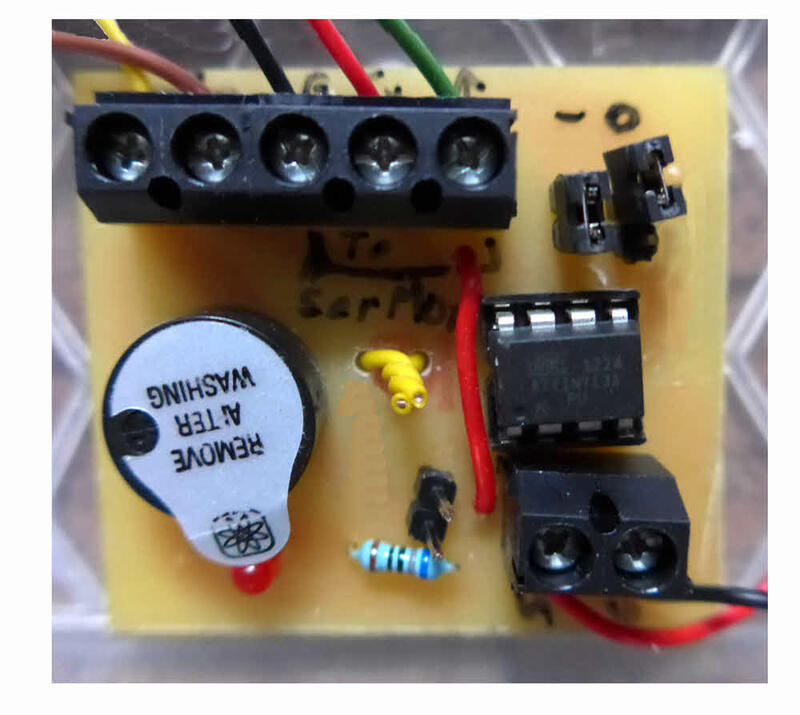 Create something in an ATtiny, using the Arduino IDE. Contact me, to say you're ready. Send the sourcecode. Understand: This is partly to get something fun "out"... by participating, you agree to give away all your rights to the code. An effort WILL be made to give you credit for creating it. Anyone who's told me that they are working on an entry will be contacted, told they have three weeks to finish entry. I'll assess things as they come in, and shortly after the three weeks is up, will announce a winner, here. Winner gets at least $40, or, if no other entries arrive, $60. (US dollars throughout. I will pay you via Paypal, or some other way, if it suits both of us.) (On top of the payment for the device and p&p, which will have been sent previously.) For each additional entry that arrives in time, working, even a bit, I will add $20 to the Prize Fund, which I will divide between the entries, as I see fit, 1st prize being, as I said, at least $40. Don't hesitate to get in touch if that needs clarification or tweaking. I frequently speak of wanting this done in an ATtiny85. And I might well stick to that. (Except, of course, in respect of the separate, smaller competition.) No doubt ATtinys come in variants. If a different one would suit you... more program memory, perhaps?... do get in touch. If it is programmed the same way, and doesn't cost a lot more, and I find I can order them easily, they could be brought within the rules of the competition. As a user presses the button, if he/ she does so in a way that constitutes proper Morse code, at the right speed, the letters the Morse stood for will appear on the screen. The LED will be lit whenever the button is pressed, just as an "is the switch working" confirmation. The space between the parts of a letter's code should be as long as a "dit"
The space between letters in a word should be as long as a "dah"
The gap between any dits or dahs which stands for a "space" character to go between words should be 7 units long. Indeed, if you have any suggestions about revising elements of this, please let me have them! Contact details at the bottom of the page. (I will be reluctant to change major elements of the competition after the first entry's submission has been announced, so please get those suggestions in soon! "Frills" allowed... and will be used in judging "best entry". For instance, one of the GPIO lines could have a toggle switch on it. Set one, way, the "MorseReaderATtiny" (the name for this... please use in code, file names, etc, etc) will "understand" Morse sent at one speed, set the other, it will only understand it the code is coming at a different speed. The switch should be set up to provide one speed which is suitable to a rank beginner, and one that works for someone with some.. but not much!... idea of what they are doing. By the way.. fell free to incorporate any "copyright left" material you can gather from the web... but please do the decent thing, and credit the originators with comments in the sourcecode. This will in no way diminish your chance of winning a prize. It might even enhance it, if you Do It Well! Another by the way: The standard of the coding, i.e. what a programmer sees looking at the sourcecode, will be part of what I used to determine prizewinner(s). My decision on that final, by the way. I'm paying the piper, so... as they say. The device should work (displaying the output on the IDE's monitor) with JUST the circuit on the left present. (And Vcc and Ground, of course.) If you've added frills, like the speed adjust switch mentioned above, great, and I will test them... eventually. 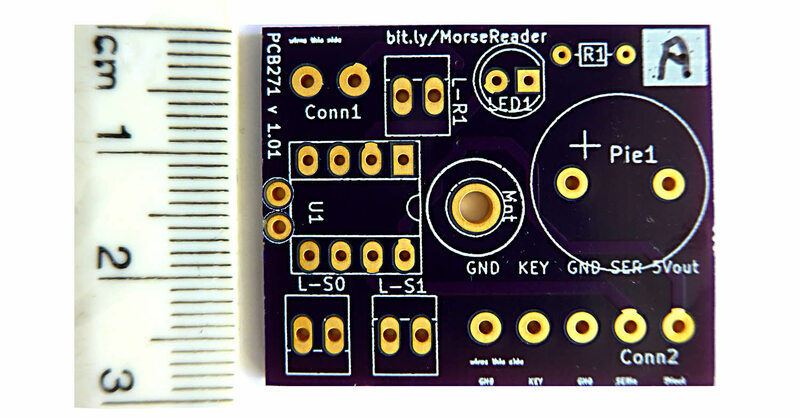 Your MorseReaderATtiny should work with JUST the assets I've just listed. If there's something like the speed adjust input, the system should default to the most friendly settings. By the way... Please spread the word?? If you think others would find this page interesting, "http://bit.ly/MorseReader" is a quick way to get here! Just before we go on, to talk a bit about the coding, here are some images of a "first stab" at putting together a Morse decoder using Edgar Bonet's ATtiny solution. You plug it into a USB port (or mere charger). You tap the "key". The translation into characters appears on the LCD display. E.g., you tap "dot-dot-dot dash-dash-dash dot-dot-dot", and "SOS" appears on LCD screen. A simple PCB for general ATtiny purposes is available. It was made for the Morse Reader. Details in the page the link takes you to. Costs about $3. The MorseReaderATtiny should cope with all of the codes which consist of just three dots or dashes. I/e. it should be able to recognize an R (dot dash dot), but doesn't have to recognize a P (dot dash dash dot). It will count quite heavily against you, though if that is all it can manage. Full alphabet would be much better. Anything beyond that: not necessary, but will get you some "bonus" points. I imagine you will create some variables or constants in your code with values for the following. I don't expect you need all of them, but please use these names if you make them "byte-type" data, or as follows but starting "i" if you prefer to use an integer type. If you work top to bottom (only, forgetting left to right), you'll get the terms in the order of how big the numbers will be, I think. You don't have to work with these parameters in your code. But if you do, please refer to them thus. bDitMin would be the smallest value. It would be the minimum time the signal has to be high to be seen as ANYTHING. Anything shorter than bDidMin is just ignored. (In this section, where ever I say things like "shorter than", feel free to add an "or equal to".) (I haven't put it on the diagram because I don't think the program needs it, but if you want to put a bOffMin in the program, to say, "if signal low between highs for less than bOffMin, ignore the brief off", then please use that name. bDitMax (which MAY be the same as bDashMin) is the longest time that should count as a dit. bDashMin, bDashMax similarly define dashes. bBetweenWordsMin works the same way. A longer than "bBetweenLettersMax "zero" (signal low) means that not only have we come to the end of a letter, but also to the end of a word. Itissomucheasiertoreadthingswithbreaksbetweenthewords. (But try typing something like that? Your "do a space" reflex will be strong, I think you'll find. If a "zero" goes on for a very long time, no problem! The program just sits in a loop, watching, so the display sits as it was left when the last letter was decoded. Simples. Click here to visit the homepage of Sheepdogsoftware.co.uk. Apologies if the "?FrmAht8d" I added to that link causes your browser problems. Please let me know, if so?